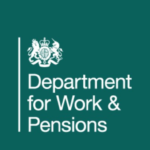 Public Technology interviewed the CIO of the Department for Work and Pensions (DWP) in the UK, Mayank Prakash, about his team’s experiences with DevOps, digital transformation, and working with the Government Digital Service (GDS). DWP has been working on improving digital services for five years, but Prakash believes the department still has work to do. He’s determined to re-imagine the user experience and improve efficiency for the 22 million citizens the department serves. Like many large organisations, DWP is adopting a DevOps culture to try and break down traditional barriers between different professions, and unlock the full value of technology and data to transform its services. Prakash says the department has made significant progress in its DevOps journey – but that there is still some way to go. He says that traditionally, DWP’s organisational structure had been characterised by hierarchy, vertical service delivery models, and relationships with third party suppliers. “By adopting a DevOps approach, we’re moving away from building to specification, to digital being at the core of how we solve challenges iteratively for users of our services, at a higher pace,” he explains.